On December 27, 2011, the environmental education organization Students on Ice departed on an Antarctic expedition with 60 high school students and an international team of scientists, educators, journalists, artists, leaders and polar experts. 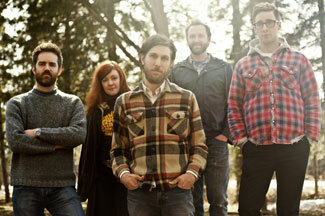 Among the participants is Tony Dekker, singer/songwriter for the Juno-nominated band Great Lake Swimmers. Just before he left for Antarctica, I talked to Tony about his role on the expedition, why he wanted to take part and, as a musician, how environmental issues influence his songwriting. The Students on Ice program, now in its tenth year, has taken over 1,800 students, teachers and scientists from around the world on expeditions to the Arctic and the Antarctic. The goal is to give the world’s youth a heightened understanding and respect for the planet’s global ecosystem, and the inspiration to protect it. Click the audio player above to hear the interview or right click here to download.